Unlike the US and Europe, Russia has shown willingness to transfer 'crown jewel' technologies. Russia may be a pale shadow of its former self, but India should continue to engage with Moscow to absorb high-end weapons technology that the West won't part with. In November 2015, the Turkish Air Force shot down a Russian Su-24 warplane that accidentally entered its airspace - for all of 17 seconds. And what did the Russians do? After promising to make Turkey pay, they inked a deal to sell Ankara the powerful S-400 missile defence system, which ironically would allow the Turks to shoot down Russian jets more efficiently. In April 2018, the United States conducted air strikes on targets deep inside Syria, a close Russian ally. However, despite having high-octane weaponry such as Sukhoi jet fighters and the S-400 on Syrian military bases, Moscow did nothing - apart from issuing threats. If this is how Russia is 'protecting' an ally, then it is clear why Moscow has only a handful of friends left on the global chessboard. Russia may still be a major military power, but there's no denying its diminished geopolitical status. Its only ally is China, which even the Russians know is as trustworthy as a Nigerian bank account. The Russian economy has been shrinking for decades and could drop out of the world's top ten before the end of the next decade. Take out oil, gas and weapons from the equation and Moscow has little to offer the world. Russia has also managed to complicate its relationship with one of its oldest allies - India. While geopolitically both countries have a similar outlook, there is a relentless drift in bilateral relations, and this is starkly evident in defence ties. Although Russia continues to have a substantial (68 per cent) share of India's defence imports, in the coming decade Moscow is unlikely to be India's primary weapons supplier. According to a US Congressional Research Service report titled 'Conventional Arms Transfers to Developing Nations 2008-2015', "This pattern of Indian arms purchases indicates that Russia will likely face strong new competition from other major weapons suppliers for the Indian arms market, and it can no longer be assured that India will consistently purchase its major combat systems." India's military forces seem to have bonded with their American and Israeli counterparts and there's a synergy with these two countries that's missing in ties with Russia. The geopolitical windfall India has landed from awarding weapons contracts to the US in particular is incalculable. The isolation of Pakistan in Washington is partly a result of the billions of weapons India has purchased from the US. In contrast, there is little incentive for India to boost ties with Russia. However, such a state of drift must not continue because Russia is critically important to India's growing indigenous defence industry. Defence technology is highly proprietary in nature and Western nations have time and time again refused to part with it. However, with Russia the experience has been different. During the Cold War years, India and the US had an adversarial relationship, leading to much heartburn on both sides. Once the Russian arms pipeline was in full flow, India showed little interest in American hardware. Under a series of American presidents - from the wily Richard Nixon to Ronald Reagan and Bill Clinton, India was subject to technology sanctions and bans on Indian scientists visiting the US. This suited Pakistan, which was flooded with advanced weapons and billions of dollars in grants that allowed Islamabad to wage war against India and also develop nuclear weapons. A similar situation could arise in relations with Russia if things are allowed to drift. During the Cold War, India had to face off the US-China-Pakistan threat; today there is a Russia-China-Pakistan love triangle developing. In this backdrop, New Delhi should keep a pipeline open to Russia and prevent this new nexus. Unlike the US and Europe, Russia has shown willingness to transfer 'crown jewel' technologies. The prime example is the development of India's first indigenous nuclear powered submarine INS Arihant, which is based on Russia's deadly Akula class submarine. Not only did Russia provide the Akula's blueprints, but Russian scientists and engineers were secretly based in India from start to launch for the duration of the project. The only parallel in military history is the US transferring Polaris nuclear submarine technology and missiles to the UK. Russian assistance has been critical in the development of some of India's most successful weapons projects such as the BrahMos hypersonic cruise missile, BMP armoured personnel carrier, Astra surface to air missile, guided missile frigates and INS Vikrant indigenous aircraft carrier. Buying Russian weapons ensures a robust defence industry in that country. Russia has only two major weapons buyers - China and India. Chinese purchases are tapering off as its own defence sector comes of age so in a few years that will leave just India. If India stops buying Russian weapons, and Moscow ceases to be a leading weapons maker, it will lead to a virtual Western-Chinese cartel in the coming decades. Since buying from China isn't feasible, New Delhi's only option will be the US and Europe. After escaping the bear's hug, we do not want another era of dependency, this time on the fickle West. France's extreme reluctance in bringing down the price of the Rafale jet is a pointer to what happens when you lack alternatives. India will gain tremendous leverage over Moscow, preventing the sale of Russia arms to Pakistan. As of now the Russians have sold only a few vintage Mi-35 helicopter gunships to Islamabad, but if it loses the Indian market completely, Moscow could sell advanced weapons on easy credit to Pakistan as a way of compensation and also to spite India. In 2015, while offering to sell the powerful Su-35 Super Flanker warplane to Pakistan, Russian Deputy Foreign Minister Sergei Ryabkov said he favoured increased military cooperation between Islamabad and Moscow. Ryabkov's statement vindicates Rao's decision to wean India away from over-dependence on Russia. But it also shows Russian weapons could end up in the wrong hands. The Russian minister was overruled by his superiors in the Kremlin who clearly do not want to lose the much larger Indian market. New Delhi should ensure that it continues to retain this level of leverage. What dogs India-Russia defence ties? Mutual defence ties that had held strong for over 40 years finally nosedived because of a landmark event that took place in Russia. In 1992 when India was facing difficulties in procuring Russian spare parts for its defence forces, Prime Minister P.V. Narasimha Rao dispatched Foreign Secretary Mani Dixit on a fact-finding mission to Moscow. However, the new Russian Foreign Minister Andrei Kozyrev flatly refused to meet Dixit. The atmosphere was further aggravated by Kozyrev's statement that henceforth Moscow would have an "equidistant" policy in relations with India and Pakistan and that Russia would "stop looking at Pakistan through Indian goggles". This new stance was known as the Kozyrev Doctrine. 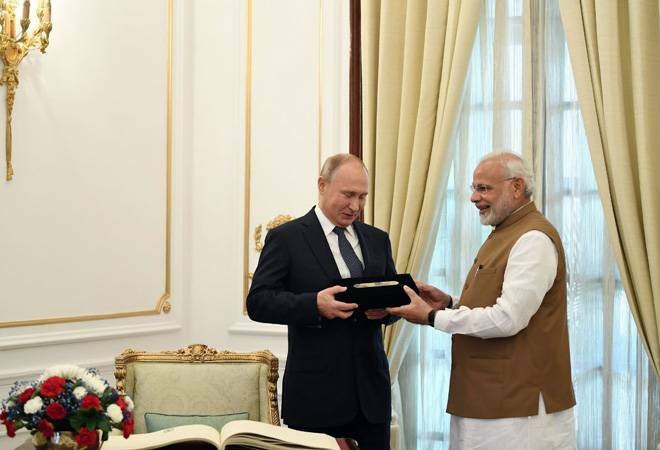 Deepa Ollapally of George Washington University writes in the paper 'Indo-Russian Strategic Relations: New Choices and Constraints' that Kozyrev relegated India to a secondary role. "Rao had no choice but to diversify India's security links as its most crucial erstwhile ally continued to labour in confusion and anxiety over its economic and political status, with no clear signal regarding its foreign policy preferences." It was this diplomatic snub that forced Rao to steer India towards the West and kickstart diversification - a process that has continued to this day. The Kozyrev Doctrine may have been a stab in the back by a trusted friend but it opened India's eyes to the dangers of dependence on one country for critical defence supplies. India has since stepped up the pace of both diversification and Make in India. However, from Moscow's perspective India's pivot to the West seems like a betrayal. Most Russians become highly emotional - and irrational - when they describe India's ties with the US, saying New Delhi has switched sides after accepting below-cost weapons and billions in economic aid from Russia. That of course is untrue but what is definitely true is that in its modernisation plus diversification spree, New Delhi has splurged billions of dollars on American weapons systems. These include the 12 C-130J Super Hercules aircraft ($2 billion), eight P-8I long-range maritime patrol aircraft ($2.1 billion), 10 C-17 Globemaster-III strategic airlift aircraft ($4.1 billion), 145 ultralight M177 howitzers ($438 million) and 22 Apache attack helicopters and 15 Chinook heavy-lift choppers ($2.5 billion). And that's not counting the mega deals with Israel for radars, surface to air missiles and combat systems - all of which India formerly sourced from Russia. Another reason is a sense of deja vu in the Indian military establishment. Since the collapse of the Soviet Union in 1991, Russia has been unable to sort out its unreliable military spares supply chain. This has impacted the serviceability of major weapons platforms such as the IAF's Sukhoi Su-30 and the Indian Navy's MiG-29K jets. While India should cop some blame for not entering into an airtight agreement on servicing and spares, the Russians adopted a completely unhelpful attitude when the Navy was facing a crisis. Another high-octane crisis happened in the India-Russia Fifth Generation Fighter Aircraft programme. The Sukhoi Su-57 stealth fighter, in which India invested $295 million way back in 2010, is still in the prototype stage, with the Russians struggling to meet production deadlines. Plus, the Indian Air Force claims it is not satisfied with the aircraft's performance, especially its engines and radar cross section. Also, the IAF says the Russians have never allowed its pilots to take a close look at the Su-57. The above issues have understandably created frustration in the Indian military establishment while dealing with Russians. However, these problems are not unsolvable and can be sorted out in a professional manner provided an environment of trust is established by both sides. The larger picture is that unlike the West, Russia has never imposed sanctions on India - in peace or during wars. Barring the hiccup of the Kozyrev years, this has been the defining nature of defence ties with Russia. Moscow's seemingly irrational moves are dictated by US economic sanctions. With virtually the entire Western world ganging up against them, Russians are feeling cornered, forcing Moscow into a bear hug with Beijing, which is replacing Europe as the top buyer of Russian oil, gas and minerals. This dependence on the opportunistic Chinese isn't something the Russians want but there's nothing they can do about it in the current geopolitical scenario. Russia's apparent tilt towards Pakistan also seems to be prodded by Beijing. As we enter a new era of defence manufacturing, with private sector giants entering into agreements with Western defence majors, India must continue to engage with the Russian military to ease the pressure on a once close and trusted ally.